Question 8: How did your meditation on God's Word sustain you through some tough years? Not many of us would put together the words love and suffering. Suffering feels like anything but love. One of life’s greatest struggles is to resolve that our all-loving God allows us to suffer; in fact, Scripture repeatedly reminds us that God is love and we will suffer. Kathleen Bolduc understands suffering, as she raised a son with disabilities. She has experienced bitter-cold sorrow and has been warmed by God’s loving embrace for more than thirty years. Her book The Spiritual Art of Raising Children with Disabilities helps us understand that God’s love breaks through most often when we are broken open. If you are enduring pain and questioning God’s love, Kathy’s words will warm your soul. What are you afraid of in coming to the Lord? Coming to terms with life includes facing and accepting our brokenness and bringing our fragmented lives to the one who loves us relentlessly. Let’s talk about whatever is on your heart. Kathleen Deyer Bolduc is a spiritual director and a nationally recognized author and speaker in the field of disability and spirituality, concentrating on God’s presence in the midst of disability, disability’s impact on the family system, and ways in which churches can become more welcoming of families of children with special needs. Her newest book, The Spiritual Art of Raising Children with Disabilities, was recently released by Judson Press. Her books include Autism & Alleluias (Judson Press); A Place Called Acceptance: Ministry with Families of Children with Disabilities (Bridge Resources); and His Name Is Joel: Searching for God in a Son’s Disability (Bridge Resources). Her articles have appeared in Guideposts, The Cincinnati Enquirer, The Journal of Family and Community Ministries: Empowering Through Faith, The Journal of Religion, Disability and Health Journal, among many others. Kathy’s speaking ministry has taken her around the United States. She is working with her husband to establish a contemplative retreat center, Cloudland, outside of Oxford, Ohio. Her passions include lectio divina, contemplative prayer, searching for God in the present moment, spending time with family and friends, writing fiction, and reading a good novel at bedtime. You can contact Kathy and read excerpts from her books, order books, view her spiritual direction brochure, and follow her blog on her Web site, http://www.kathleenbolduc.com. M. Robert Mulholland, Jr., Invitation to a Journey: A Road Map for Spiritual Formation (Downers Grove, Ill.: InterVarsity, 1993), 168. How did the birth of your third son start you on the journey to writing your book? How did God reveal His love for you through your journey of grief? What is Christian meditation and how has it been helpful to you? How does admitting our helplessness work to our spiritual advantage when we are struggling? What were some of the challenges to your marriage and how did you work through them? How did friends respond to you as you grieved the challenges with your son? How did your Cloudland Retreat Center come to be? 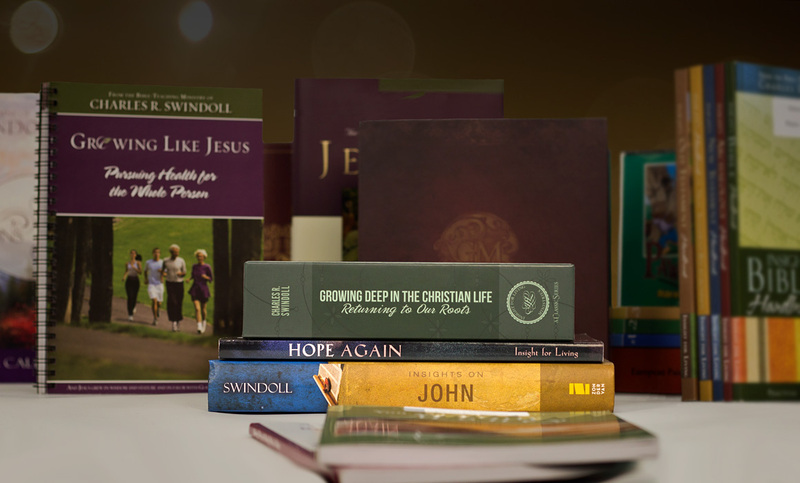 How can people suffering with their own trials use God's Word to find hope and healing? What is "chronic grief" and how can we find hope in the midst of it? How can believers help others struggling with grief? What words of encouragement can you offer to those who may be suffering today? I am a pastor in Kenya. I use Pastor Chuck Swindoll's books a lot: Moses, David, Joseph, Esther, Hand Me Another Brick. I also receive Insight [for Today] daily. I use all as my study material. . . . I pray that I could absorb all that, live it and teach it. God bless Chuck, God bless Insight For Living.